In a sense, North America still feels foreign to me. But while I can relate to the foreign nature of the United States, Canada is more weird to me. You would think it would be less, considering that Canadian politics and policy are more aligned with European policies than US policies. They have a Westminister system like in the United Kingdom, and have three major political parties, where actual social democratic agendas have a platform that really only see national recognition in the US from politicians like Sen. Bernie Sanders. Parliament on Parliament Hill. 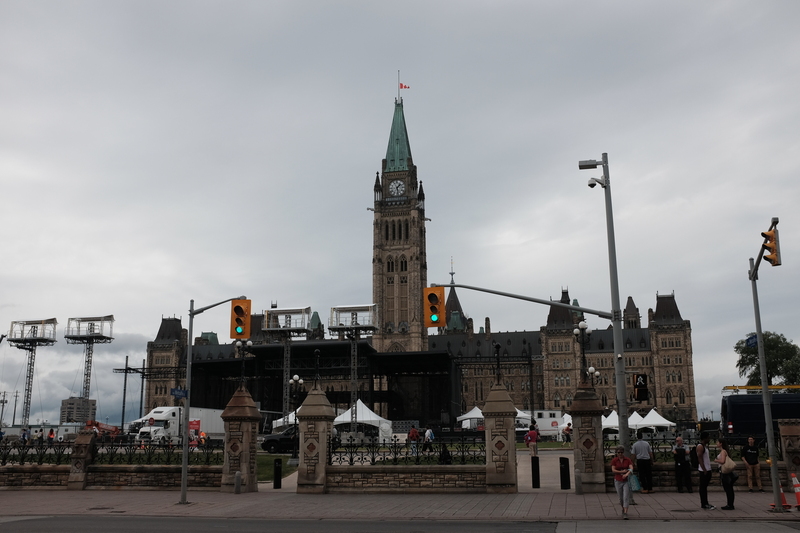 Apparently, they are setting up for some big event. I wonder what it might be. But despite a sensible nature in the abstract - by which I mean, policies you do not interact with if you are merely a tourist - its more apparent nature makes it seem incredibly similar to its neighbour to the south. As I have mentioned previously, roads and signs are very similar in Canada and the United States. And combined with the promiment exposure to French signage and more sensible measurement systems, along with a governmental building style that I would described as a mixture of classic French and British architecture (compared to the US' more Roman and Greek approach), the mise en scène feels left field. 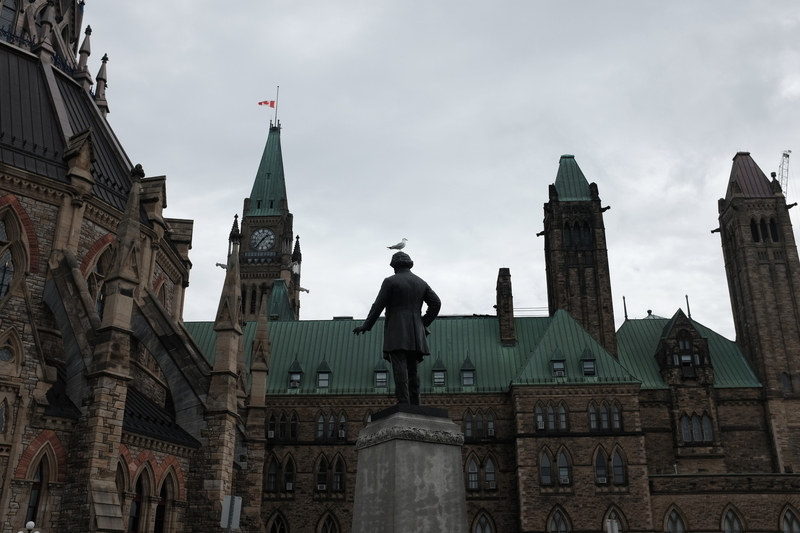 A seagull being very naughty behind the Parliament. I am certain, that if I spent more time here, I would be able to appreciate it more. But Canada should feel as foreign to me, as it should to a US citizen. Or indeed anyone, who is not a Canadian. Ontario is in many ways much like Québec - on the surface at least. But while people in Québec seem to be more likely to speak English as a second language, people outside Québec seems less likely to speak French as one. To my surprise, I got the impression that the other official language is usually not taught that well in school. Maybe that is all intentional to further divide Canada. But it would be sad to see happen. When the Belgians figure out to make it work, I am sure you can take a lesson from then. Although, do not count on that. South Park got one thing right: There really is no Canada like French Canada. Whether it is the best Canada is a different story. Québec has a weird personality to it. It is a strange combination of French and American/Canadian cultural aspects, and the worst of both. Particularly on the road. But Ville de Québec was a sight to see, and yet Montréal certainly is its own. Montréal. All you see is Canadian. Sorry, québecios. 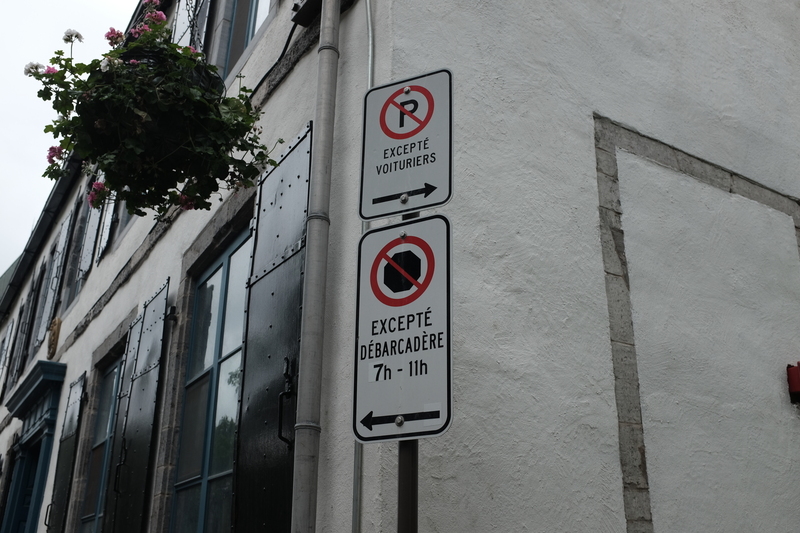 It is not as French (that is, French speaking) as Ville de Québec, it is practically bilingual, even though all signage is only in French, due to Québec language laws. Indeed, French usage in Québec is rather weird. They insist on writing « arrêt » on stop signs, even though in France, they would write 'stop' on stop signs. 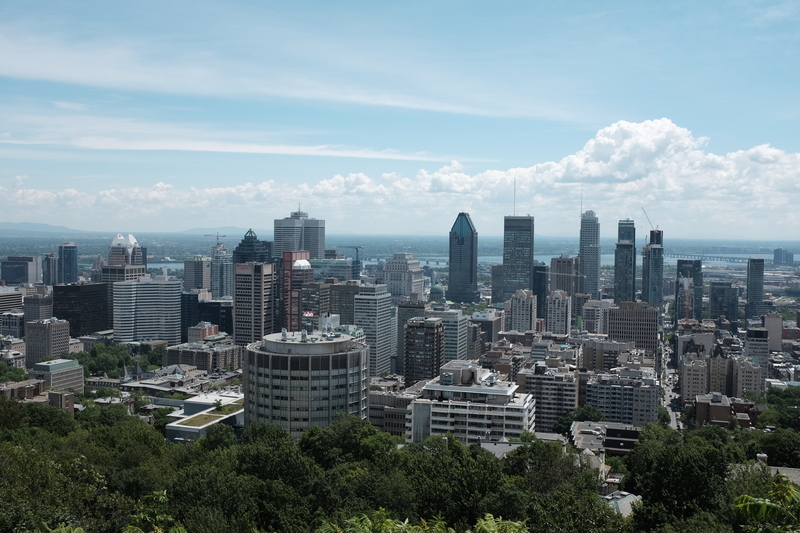 However, because of Québec's proximity to the United States, and being part of a country that primarily speaks English, a lot of English slang seeps into their language. And in many ways, Québecois sounds a lot let French than... well... French! 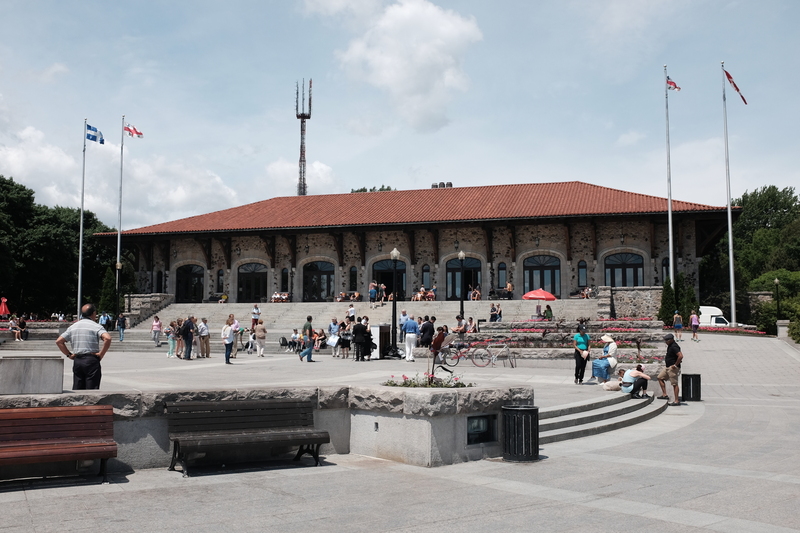 On the top of Mont Royal - the mountain from which Montréal gets its name - were four flags: One Québecois, two Montréal and one Canadian. The fact that only the Canadian flag was not properly hoisted summarised pretty well the province's independent feeling towards the rest of the country. 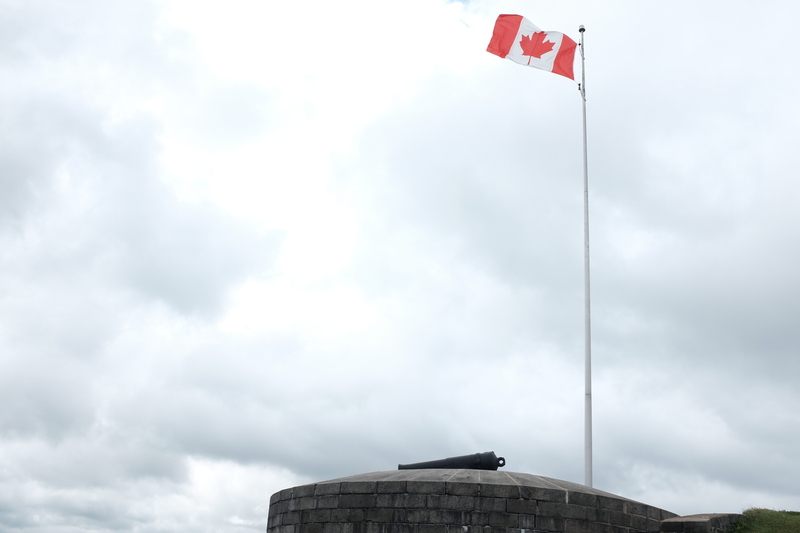 This year marks the 150th birthday of Canada. On 1 July 2017, Canada will have existed as a nation for 150 years. But you do not see much of that celebration being mentioned in Québec. If a Tim Hortons had not mentioned it in their window, I probably would not have known until I came to Ottawa. 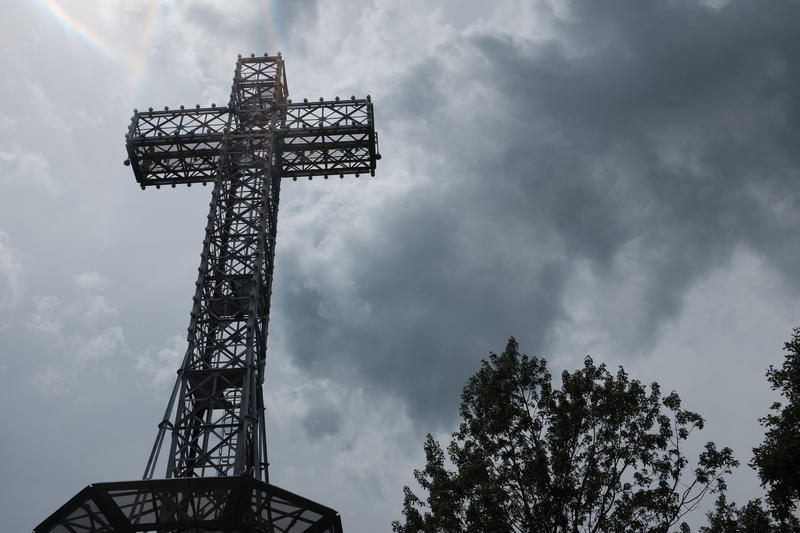 Actually, on the real top of Mont Royal is a big cross. When the city was founded, an earlier version of this cross was erected at the top. Probably to give Europeans a sign that here be civilisation. Montréal walks a strange line between these two positions, as it has a large English speaking population, who may or may not be as interested in Québec's independence aspirations as the French speaking population might be. It works, where everyone initally speaks French to you, but will easily converse with you in English - particularly if you explain you are not from an English-speaking country. It is a great city, and a joy to visit. But you gotta be prepared to read French a lot. But it should be somewhat straight forward. After all, English is just French with bad pronounciation. This is also the recommendation from Académie française. This is also why there is Vienna Convention on Road Signs and Signals, that neither the US nor Canada are party to. In Ontario, where signs are bilingual near Ottawa, they would use « sauf » instead of « excepté », probably because the sign would have an immediate counterpart in English. Yes, not all French speaking Québecois think this way, but it is overwhelmingly the French speaking population in Québec, who is in favour independence. One thing I enjoy about driving around Europe is the distinct nature of each country's road and sign designs. If I had forgotten which country I woke up in, I could get out on any larger road, and immediately determine which European country I was in. While European have plenty of standardisation, each country have their own designs for the pictograms on the standardised signs, their own designs on road markings and in particular the typeface. Of course, one significant way you can tell the European countries apart is the language. And you only get the latter difference when entering Canada from the United States. And only if you drive into Québec. Sure, Canadian signs are metric whereas US signs are not, but there is really little else really telling you are in Canada. That is not to say Canada is just the United States with a more modern measurement system, no, but its immediate appearance is not that different. It is not until you stop and interact with locals, or go to one of the bigger cities. In particular Ville de Québec. 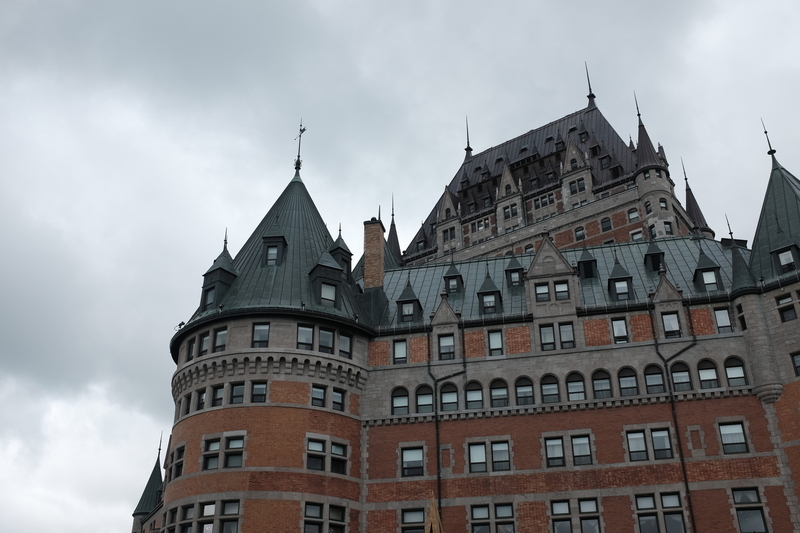 Château Frontenac in Québec is considered to be the most photographed hotel in the world. So I better help with that statistic. 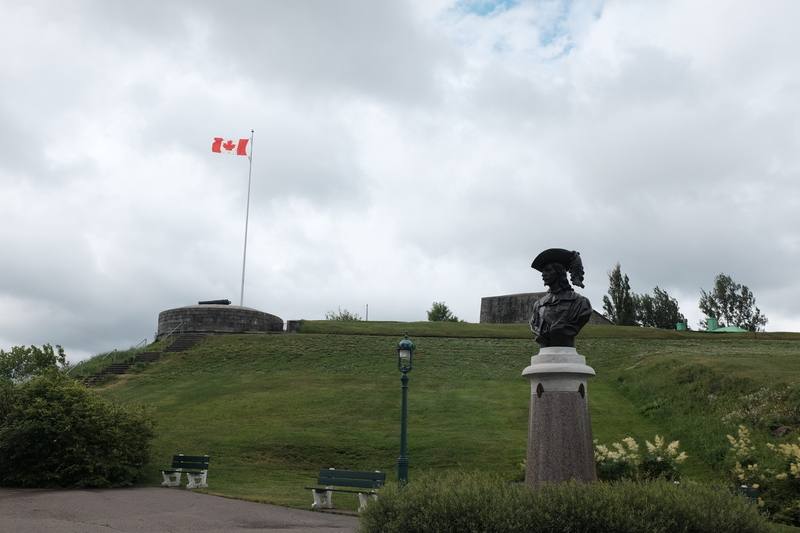 The Citadel in Québec, overlooking most of the city, that I unfortunately did not get to properly see because of the weather. It was unfortunate, however, that by the time I had to see the city, the weather turned on me. From a light drizzle to pouring down. Forcing me to skip an adventure to the Citadel, and rush towards my car, where I immediately made my way towards Montréal. 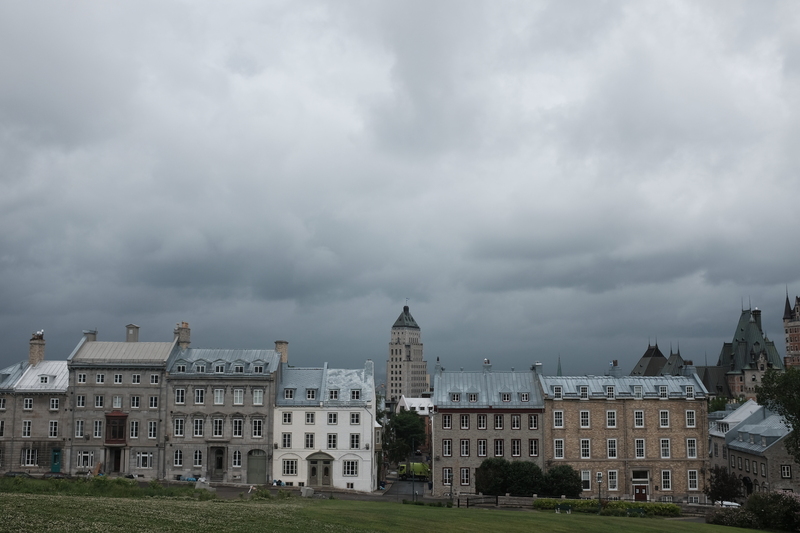 The dark clouds hanging over Québec. It is not that we do not have great nature to behold in Europe, but it is just that everywhere you go, people somehow live there. Even so, we do have a lot of national parks in Europe today. But people live in most of them. I should add that there are other cities that still retain what New Worlders refer to as 'Old World charm' over here, such as Boston and Portland in Maine. But Ville de Québec is a clear stand out. Particularly due to its heavy French influences. After the Rendezvous in Saratoga Springs, I drove through Vermont and New Hampshire on Route 2 to Maine. An incredibly lovely drive, with some great sights alone. 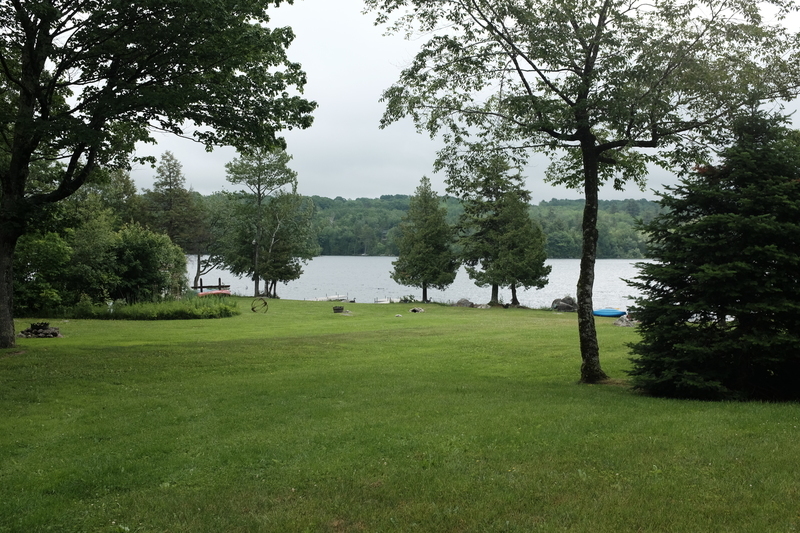 One of the many lakes in Maine. Maine is a beautiful state. Both inland and by the coast. And I got to see both. I got to stay by one of the many lakes in Maine, where a thunder storm occurred during the night. An excellent experience. 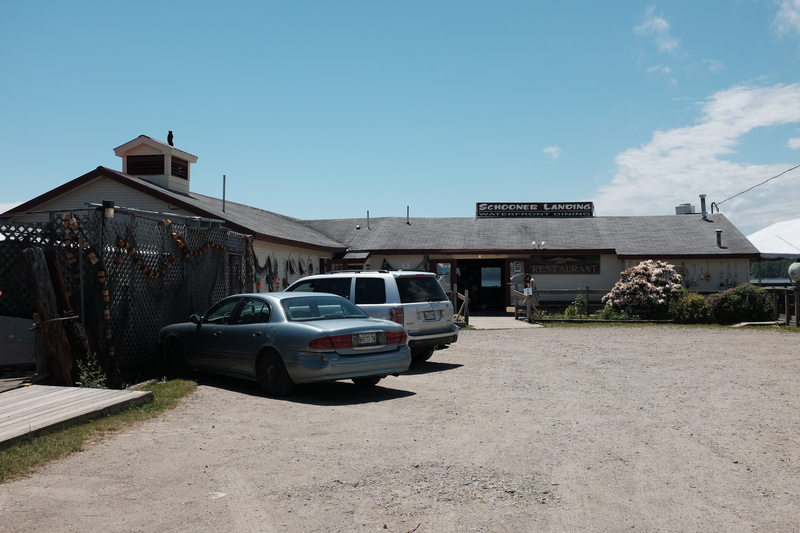 The next day, I drove to the coast and had an excellent lunch in Damariscotta, a small town on the coast. I had Fish 'n' Chips. Schoner Landing in Damariscotta, Maine. Excellent service and Fish 'n' Chips, even if Americans do not understand chips. It is just unfortunate that Americans do not understand chips. They add fries to Fish 'n' Chips, but the dish deserves chips. And chips are the shape of potato boats and fried. That way, the chips and the fish bites are of the same shape and size. Fries are too small and narrow. It may be confusing to Americans, because the term 'chips' over here refer to crisps, and they then assume Brits mean fries. But fries, chips and crisps are three separate things. All different cuts of the potato. All fried, though. 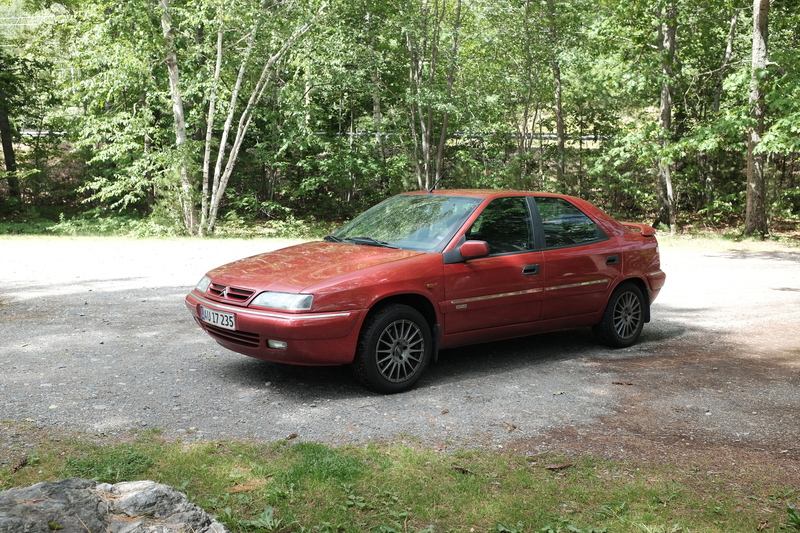 The Xantia parked by the road north to Québec. Following the view on the coast, I travelled northward, following Route 201 to the Canadian border. Which I feel was an even prettier drive than Route 2 from the previous date. A wildlife area without much civilisation. Well, until you get into Canada. But I will leave the details on my views on Canada - and they are positive - for tomorrow. « Rendez-vous » is how the French would spell it, but the Americans spell it Rendezvous. Without the hyphen. It is possible that English speaking people do not understand the significance of the hyphen in French. Or French in general. 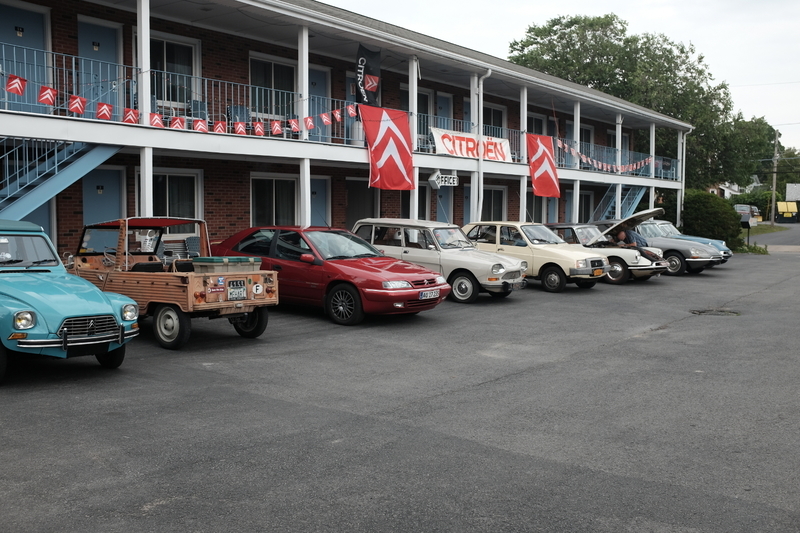 Citroëns at the Springs Motel in Saratoga Springs, New York, on the 16th, the day before the main event. Well, that is not entirely true. 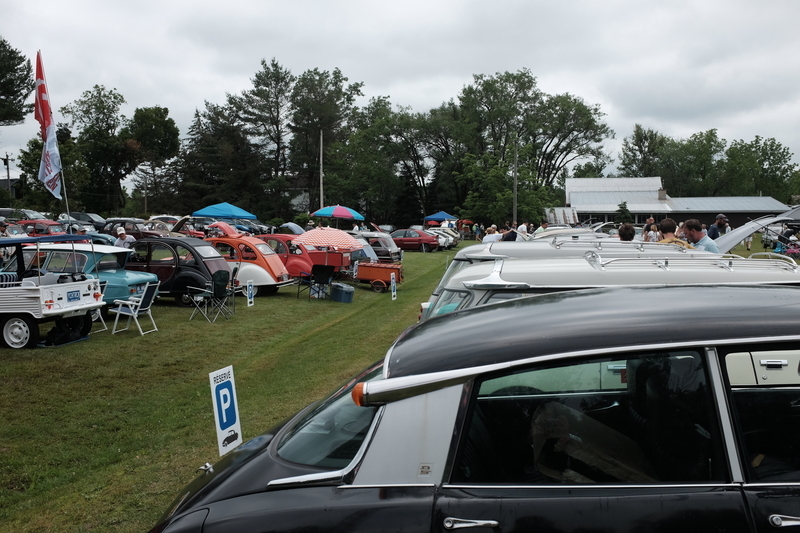 These Americans (and several non-US citizens) certainly appreciated and understood French cars, because over 100 French cars showed up in Northern New York, in the town of Saratoga Springs. Citroën Rendezvous is an annual event in the Northeast of the United States, strategically placed in the middle between New York City, Montréal and Boston. It has taken place for 41 years now, with 2017 being the 41st event. 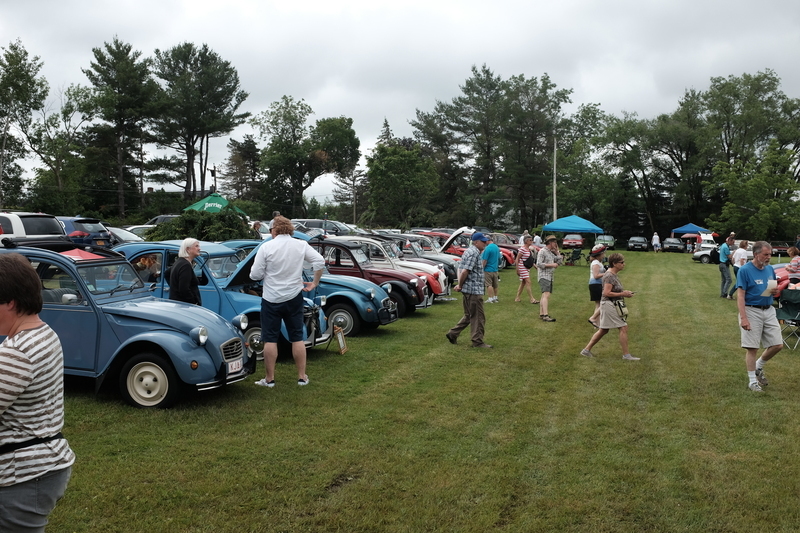 Citroëns on the field at the main event in Ballston Lake near Saratoga Springs. It was quite a showing. I must admit I have never attended a proper car show before. My only experience with car meets have been work shop meets, and not proper car show. 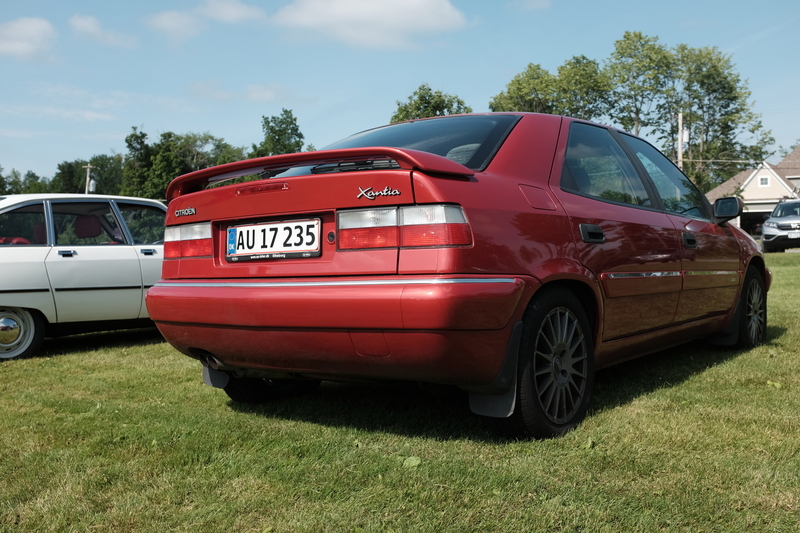 My Xantia was also on display at the show. 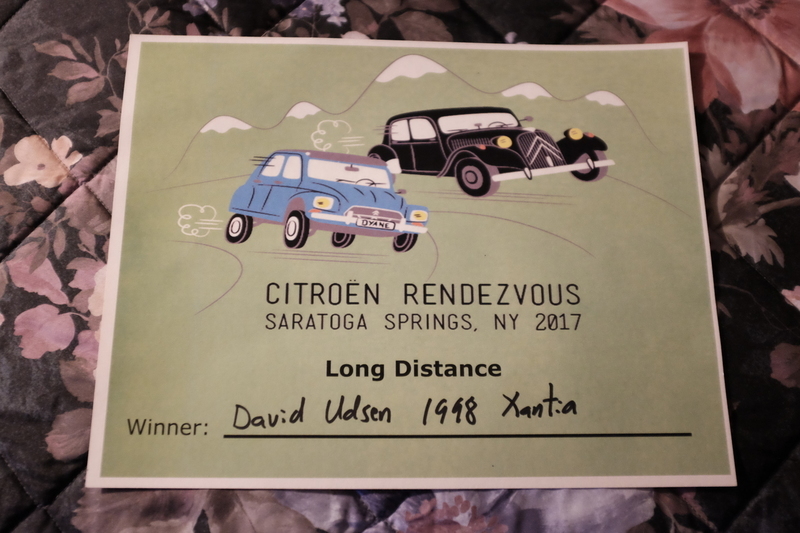 My car participated in the category "GS/GSA, XM/C6 & H-van", because they have never had a Xantia, and the category basically worked as their "Other Citroën" category. My Xantia Activa V6 making its appearance at the show. I met a lot of people at the show. 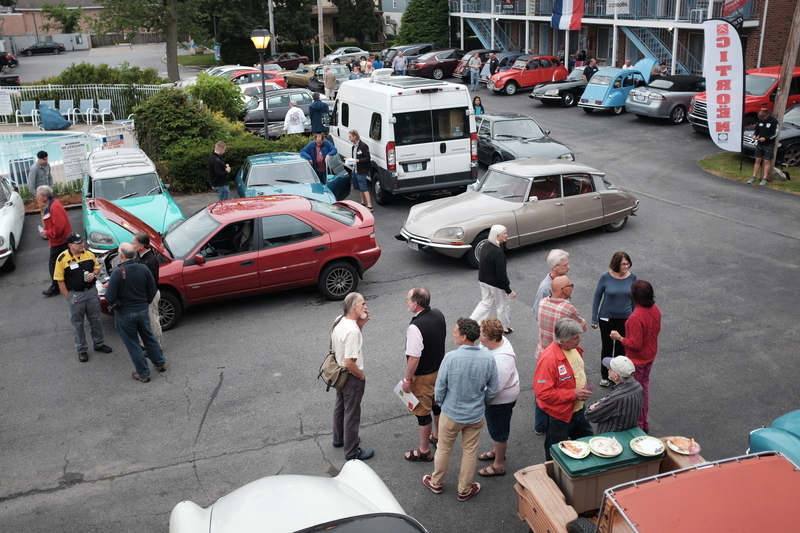 It was quite pleasant to meet so many people with a similar interest in Citroëns, and they were all very pleasant. I did not win in my category. The category was won by George Dyke's - of Citroënvie, the largest Citroën club in North America - GS. And while slightly disappointed, it was a pretty great GS. However, I did win a different award: Long distance. 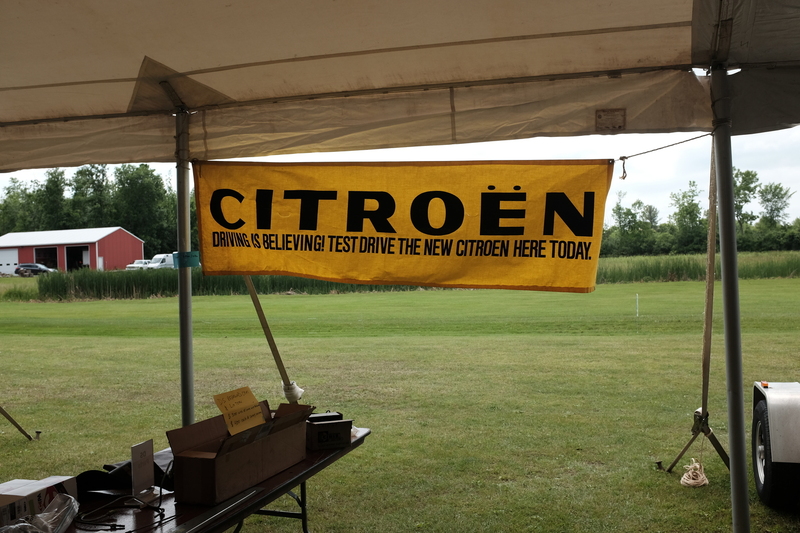 Apparently, I am the first to attend Citroën Rendezvous from outside the North American continent, while bringing a Citroën they had not seen before. They have never seen a Xantia, much less an Activa V6, over here before. And some had never seen a Xantia at all before. I must admit I quite overwhelmed by the award. In a sense, I had no competition for this award, but it still meant a lot to me, that they awarded it and the recognition I got. I have met quite a bunch of incredible people, and some of them I intend to meet again on the West Coast when I get there. Driving is indeed believing. Just imagine if they had known what an Activa V6 was like. 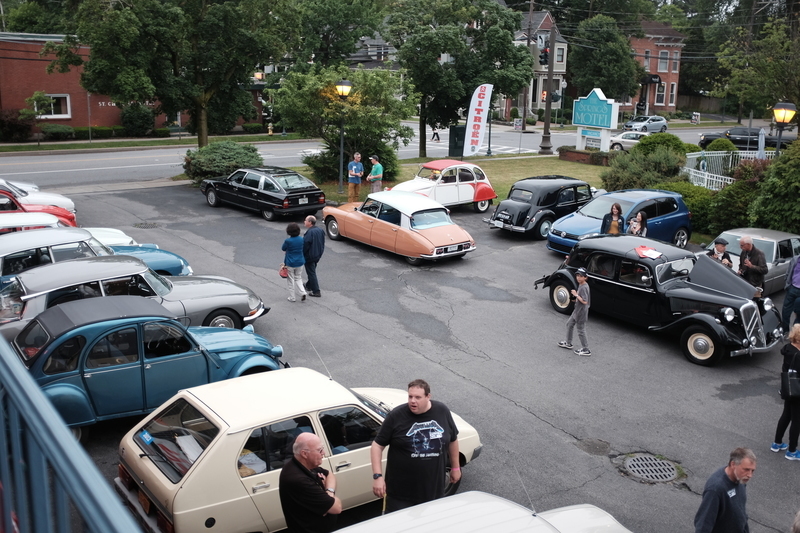 And tomorrow, there is more: The drive from Saratoga Auto Museum to Cambridge, New York and back again. Update: I later found out that others had attended the show from outside the continent while bringing a car, but only in cars with which they were already familiar. Yesterday (14th), I finally got to pick up my car at Port Newark. After some slight queuing, I was handed over the car and I drove off. There was not much to it. 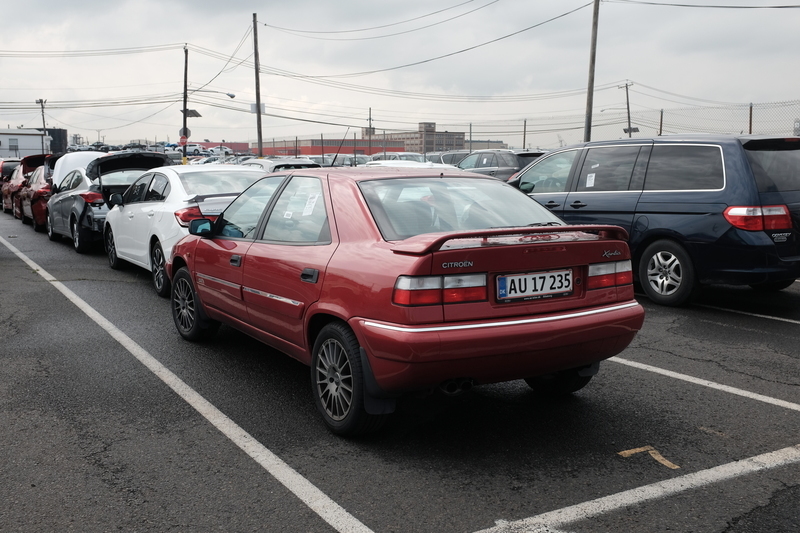 My 1998 Citroën Xantia Activa V6 at Port Newark. From there I drove to a fellow Citroënist (that is, a person who is interested in Citroëns) near Weston, Connecticut about 50 kilometres from New Haven. He lived in a gorgeous area, with creeks and rivers, hills covered in forest and delicious curvy roads running through the landscape. He owned a '70 Citroën DS21 IE and 2CV. When I arrived, he had just recently been driving his 2CV, which had broken down not far from his home. So we drove off to tow it back. I had prior to this never driven a 2CV, much less been in one, but I got to drive it while it was towed. That is, brake and steer. 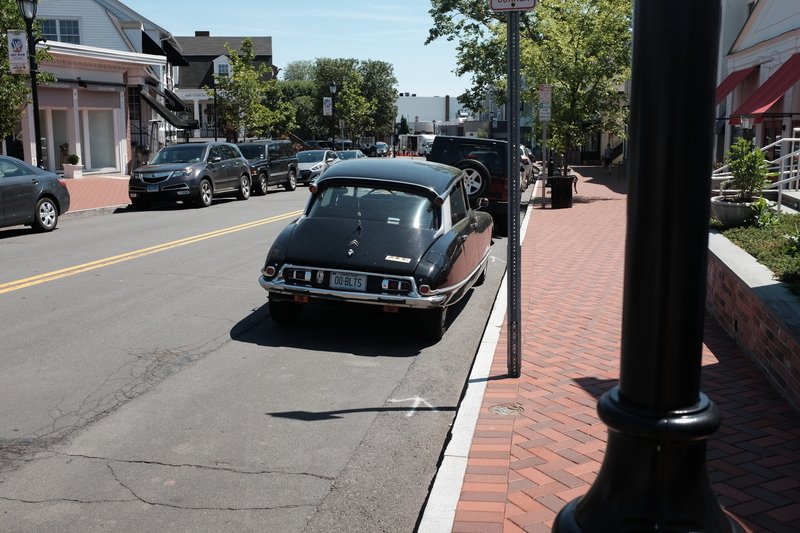 His DS 21 parked on the street in Weston. We spent most of the day talking about cars, and he got a chance to drive my Xantia. An experience he was quite impressed by. I must admit, while he was behind wheel, I was mostly nervous about whether I had oversold the car's handling. I had not. The Xantia managed the turns and curves as it should. He had recently been driving a Porsche around British Columbia, and he remarked that he would have been driven the Xantia instead. I thoroughly appreciated his hospitality at his incredibly sweet house near a small river. It is only unfortunate that he would not be able to attend the Rendezvous in Saratoga Springs. Speaking of which. Today (15th), I drove from Weston to nearby Orange in Connecticut, where I met another Citroënist. 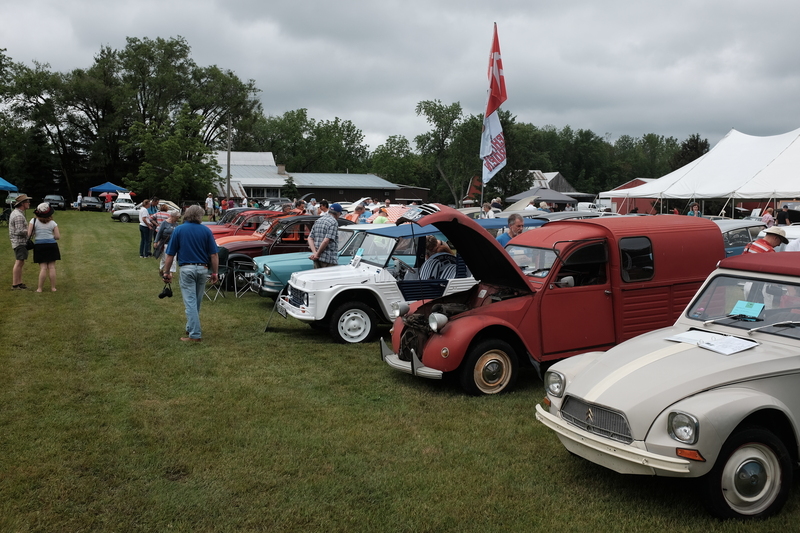 From there we drove in a group to Saratoga Springs in New York, where this weekend the largest Citroën gathering in North America will take place. 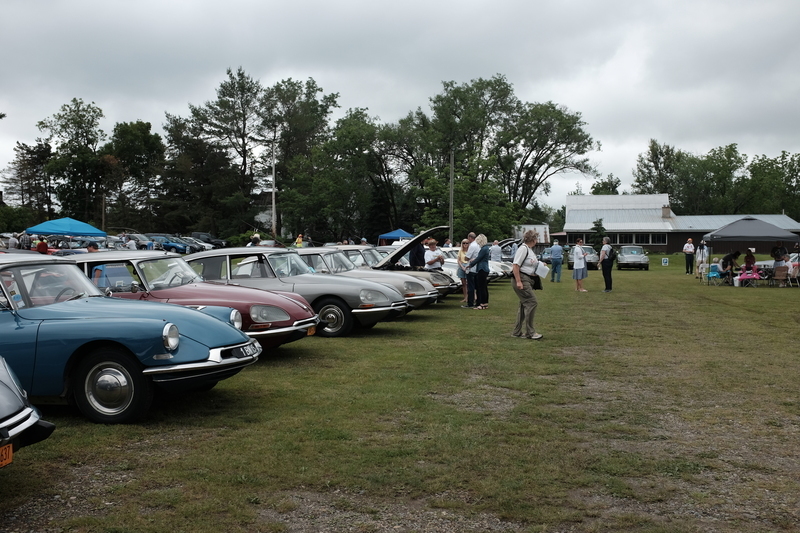 Some of the line up of Citroëns already on the 15th, the day before the show actually starts. Immediately, I got introduced to several fellow Citroënists. They may be Americans, but we all share a passion for the Citroën make. And blimey were there a lot of them. Citroëns were everywhere. The 2CV, in particular, was far more popular in the United States than I had realised. That is, in comparison to the ID/DS, which is the second most popular Citroën over here. Still, the showcase of cars also included other more exotic Citroëns: SMs, a CX Turbo 2, a few GSs, an Ami 6, a Méhari and a Visa. And, of course, my Xantia Activa V6. Which - over here - is very exotic. It is so exotic in fact, that the people I am meeting are not actually allowed to own and register one over here due to regulations. It looks like it's going to be a very fun weekend here in Saratoga Springs. I will keep you posted on the events as best as I can, but if I end up getting caught in all the excitement as I did yesterday, I may miss an update. Yesterday was a quiet day for me in New York, but I did manage to fulfil my own goal; I found a tea shop! 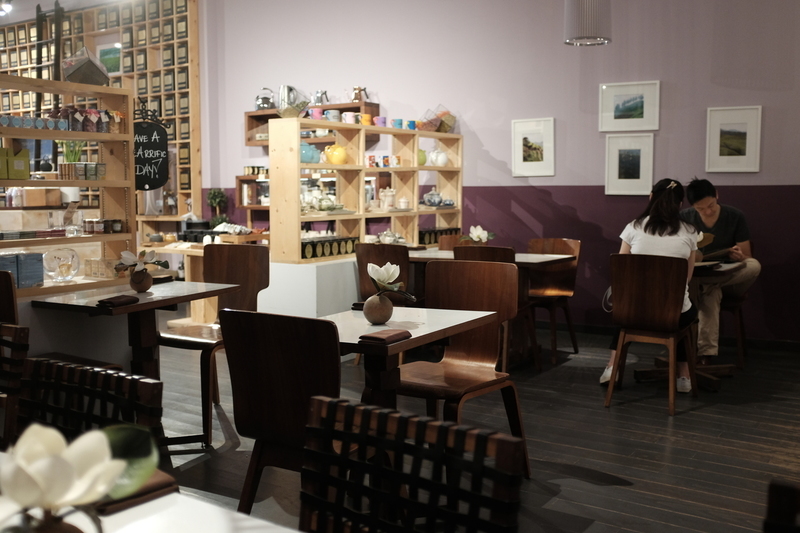 Despite the size of New York City, tea shops are not easy to come by. 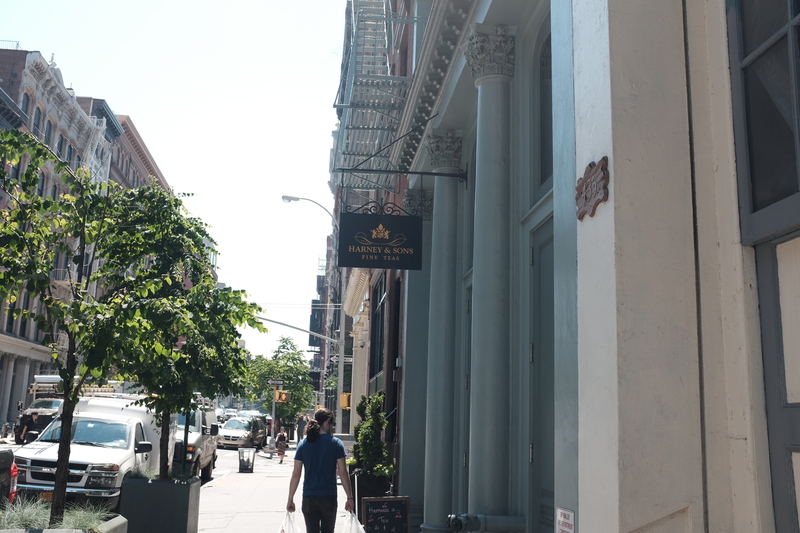 I went to Harney and Sons in SoHo on Broome Street. The irony is, I suppose, that I really just wanted a pretty standard black tea. More specifically: English Breakfast, or as it is known in the United Kingdom: Tea. The shop had a café area where you could sit and have a cup of tea. Which was helpful, because then I could try the tea before buying it. A rather cozy environment for tea drinking. Their English Breakfast brew was excellent, so I decided to buy some tea bags. Although, I now fear that for the length of my trip, 20 bags may be somewhat on the wee side. 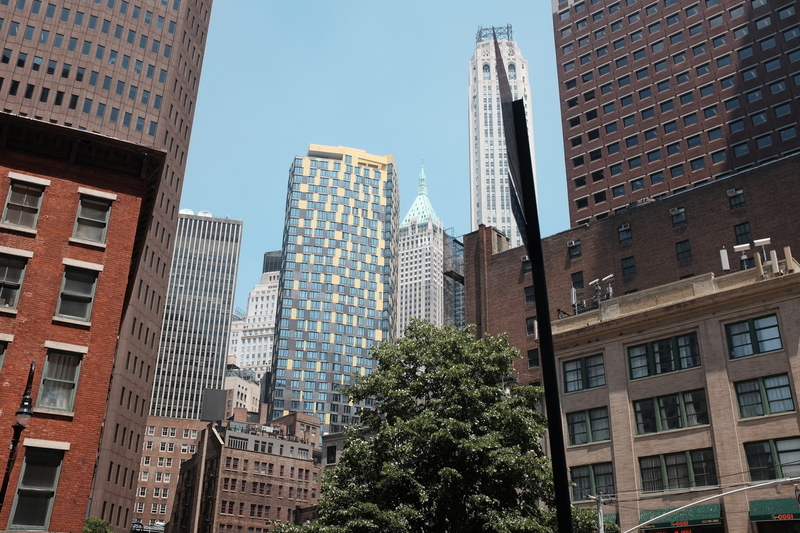 But it was not all a tea day, after that I went further South on Manhattan, eventually to Lower Manhattan and Battery Park. Backside of some buildings in this area. From there, you can see the Staten Island Ferry, Governor's Island, some container cranes, plenty of boats and ships, and something left behind by the French. 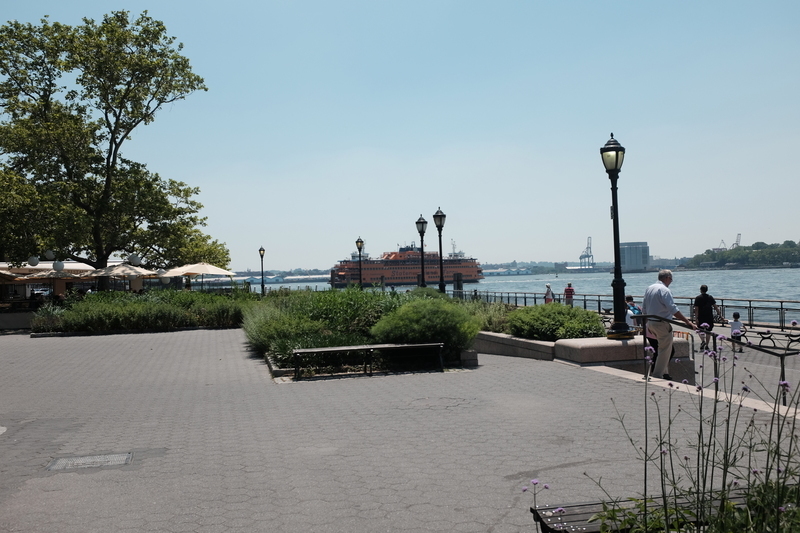 The Staten Island ferry making its way back to Manhattan. Walking North from there, you pass by the Brooklyn Bridge. Well, you might, but I went a slightly different route, so I could only see said bridge from a distance. That was OK, though, because even from there it was pretty impressive. Brooklyn Bridge from City Hall Park. 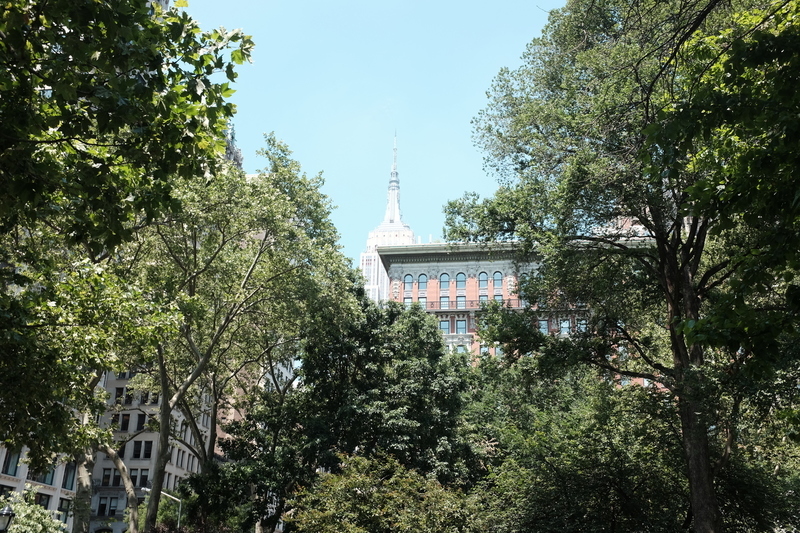 The idea was to make it to Madison Square Park, to get to Shake Shack in that park. Recommended by my brother, I had to try their burger, and it was excellent. The queue was long, but it was worth it. Of course this time, I made the right choice of ordering the small portions. They really should just call them 'European portions'. Or 'appropriate portions'. An overexposed Empire State Building is visible from Madison Square Park. The time was only 14:00 when I was done here. But I felt exhausted, so I returned to the hotel. Here I spent the rest of the day, and practically slept for almost 12 hours. There were plenty of practical items to get done, so it was not all sleep. Just a lot of it. As for my car, I am certain that it has been unloaded in Port Newark, and that I will get a customs clearance today. However, I have not gotten a confirmation of my car's arrival, and that still bothers me. But then again, I do get overly concerned. So this is just another thing for me to worry about. Hopefully, my concern will have all been pointless. I think it is time for my first real complaint. Even though I anticipated this problem, it still bothers me. There is no kettle at my hotel room. Now before you drop your tea cup and morning papers, they do have hot water available in the lobby. But in an extension of this, I presume, of all the teas they have on offer, they suspiciously lack a good black tea. There is no English Breakfast or even Earl Grey. It is only an array of fancy fruity and green teas. And who wants that early in the morning? You want good black tea. Initially, I thought it was just the hotel being loopy, but it turns out to be systemic problem around here. Any café, that might offer tea, always offer teas of which whose names I have never heard. Still, I plan to see if I can find a proper tea shop today, and possibly obtain some good black tea in tea bags. 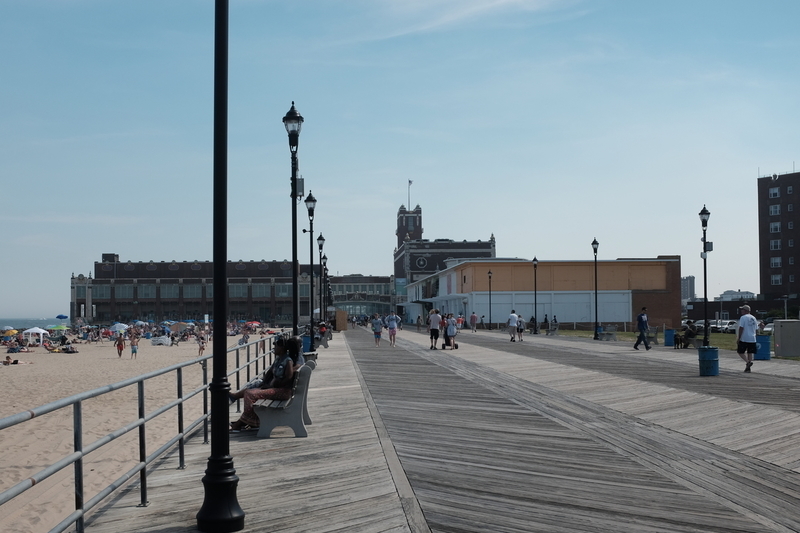 The boardwalk along the beach in Asbury Park. Beyond not having tea for breakfast (or tea at all yesterday), I also did not spend much time in New York, because I went to New Jersey. 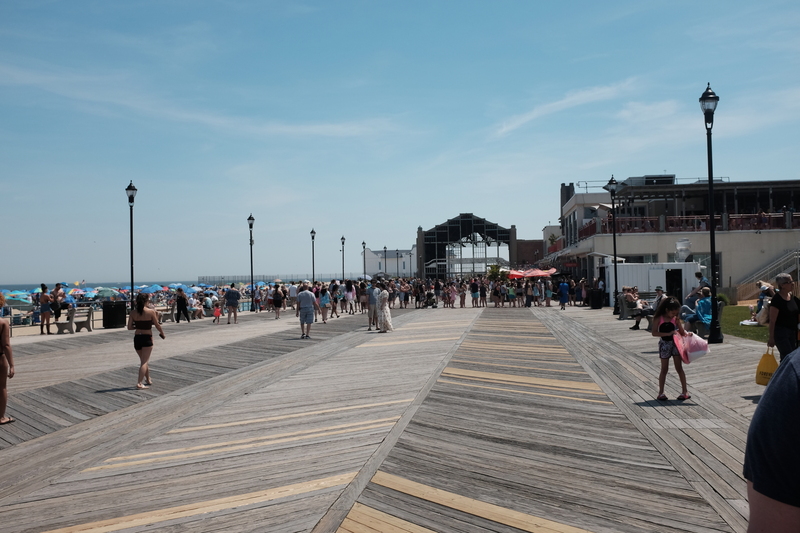 More precisely, we went to the seafront town of Asbury Park. Which apparently is a pretty popular. This town, like much of the New Jersey coastline, had been hit hard by Hurricane Irene, with several buildings still in decay and practical ruins. 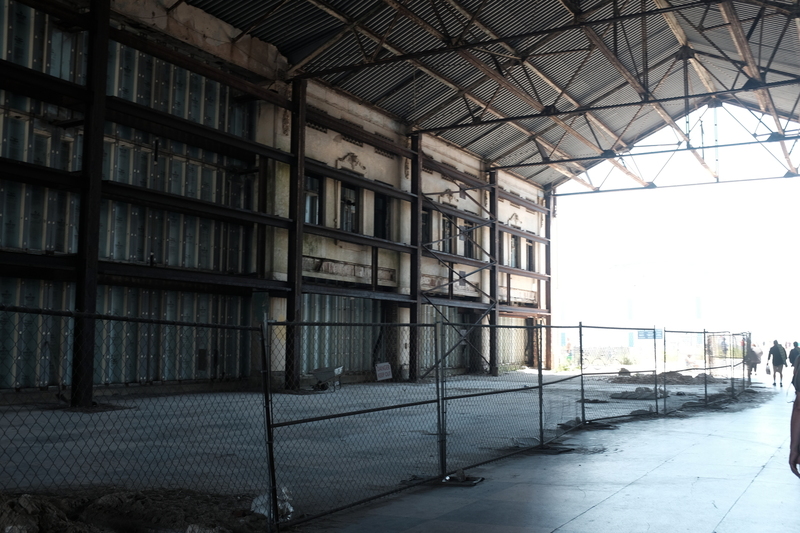 One of the buildings one gets to walk through, as it is part of the boardwalk. The boardwalk used to continue far further down, but the same hurricane also ruined that. Indeed, much of this country feels like a country in decay. Almost as if it has already given up. The scenery was quite different than that of New York City, although, we did also get to spend a few hours in car on what Americans do not call - but should - motorways. Although, not quite at the speeds one might be used to for Europeans. One of the buildings that did survive along the boardwalk. I will get to visit New Jersey again on either Tuesday or Wednesday, when I pick up my car. But that time I will be in Newark. Consider, if you please, a list of vehicle types, in the order of those to which you pay attention. 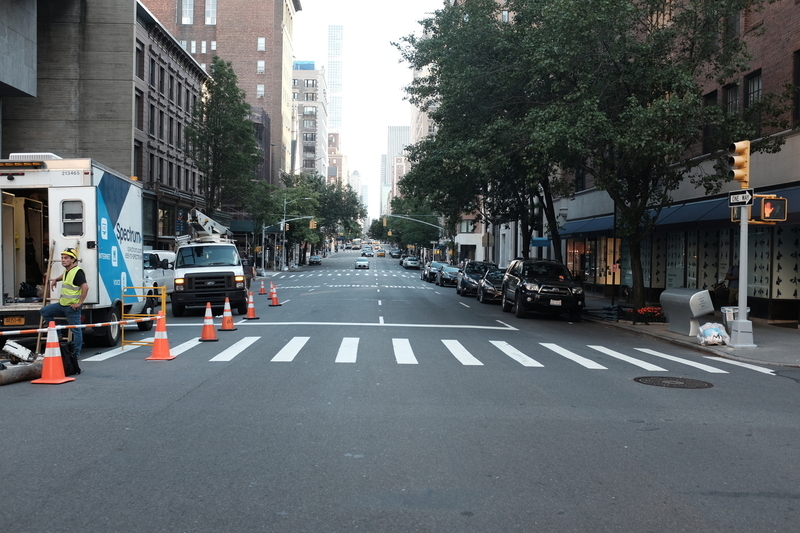 Particularly in the context of New York streets. Because even if you have never been here, you must be familiar with the images of said streets. I first noticed this myself, that people tend to ignore buses quite effectively, when they do not need them. Of all the imagery I could think of before coming to this city, buses were seldom - if at all - included in my understanding of this city. 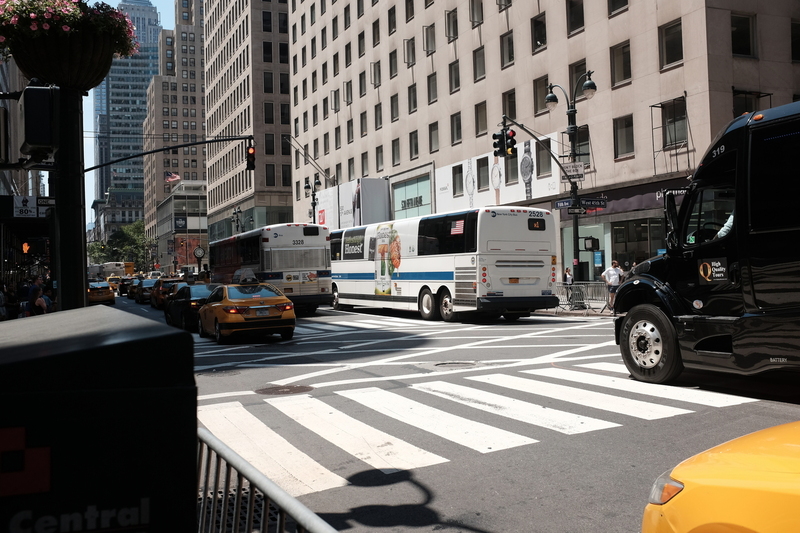 Some buses making their way down fifth avenue. But of course there are buses. Most US cities have them, we just do not think about them, because most people actually do not use them around here. There is a lot of talk about the Subway, but not so much about the buses. Another bus making its way in the distance. 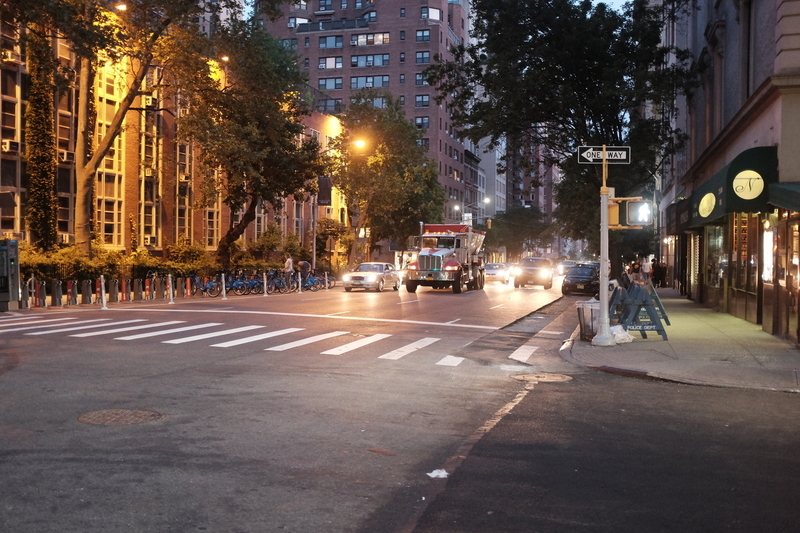 However, there is more of an eye opener to visiting New York City and discovering they have buses. There is something neat about its grid layout. It may lack the fun flowing nature of a European city, but at the very least they are not trying to be that. They are their own. I like how most streets are one way, effectively creating dual carriageways with an entire block of buildings in the middle. Sure, you cannot use the layout of the city - besides in Lower Manhattan - as an indicator of where you are, but Americans are generally good at signage when it comes to street names. Something we Europeans do not do terribly well. 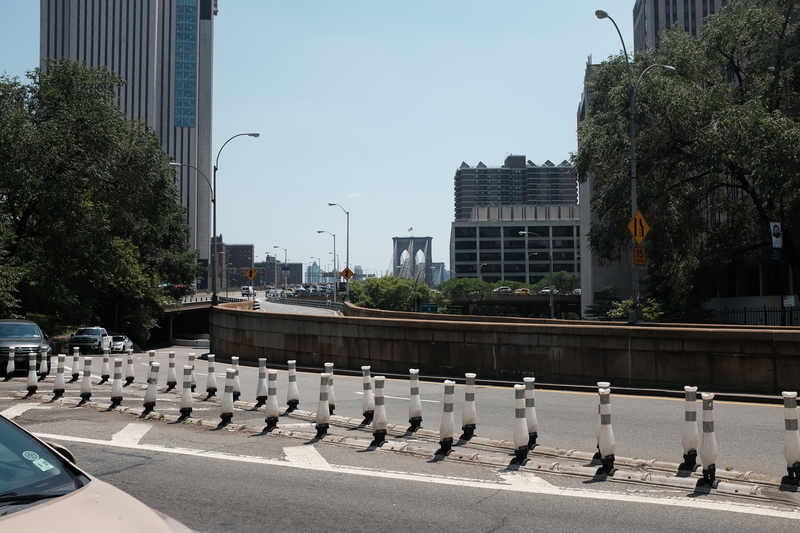 It is not just buses dotting the scenery in New York. Beyond looking at streets, I got to walk around for a good nine hours, and I must admit I was exhausted at the end. Again, coming back to my hotel room and immediately falling asleep. 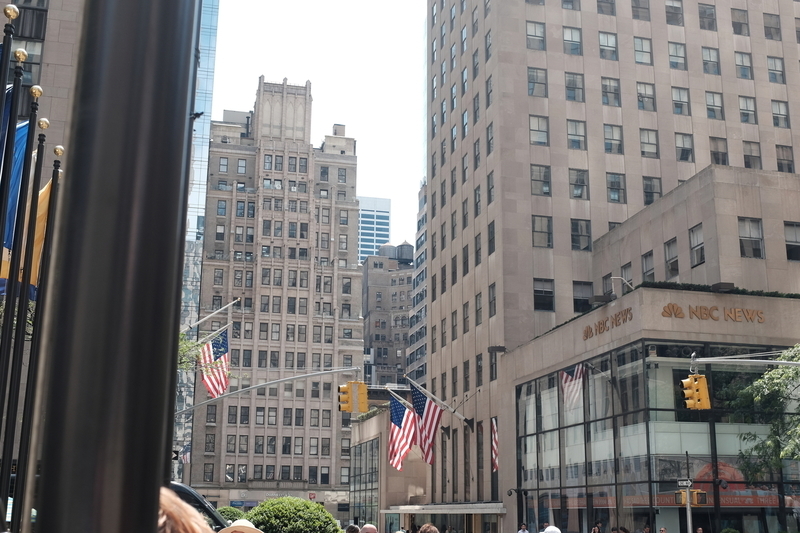 We visited several stores around Times Square and the Nintendo store near Rockefeller Plaza. 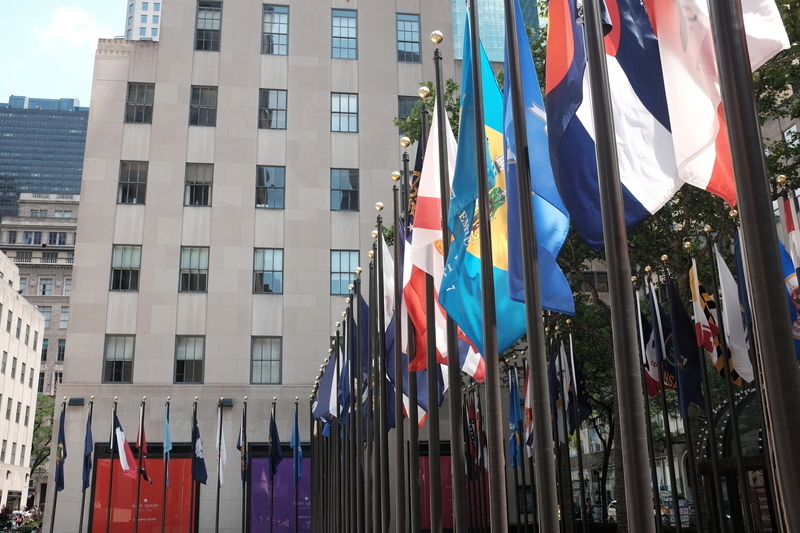 State flags dotting the outline at Rockefeller Plaza, putting even a local citizen to the test in naming them all. Then we went to a most excellent burger joint called Five Guys. My friends had been recommending it, but I was still pleasantly suprised by the quality. Sure, it turned out that a 'regular burger' was what we would call a double burger, as it contained two slices of meat. But I still managed to eat it. I cannot say the same for the fries, because their regular size was very generous. I am also beginning to understand why Americans do not really care for mayonaise. Their mayonaise is incredibly plain and uninteresting. While having the choice of mayonaise and ketchup before me for my fries, I, for the first time in my life, was uncertain for which dip to pick. 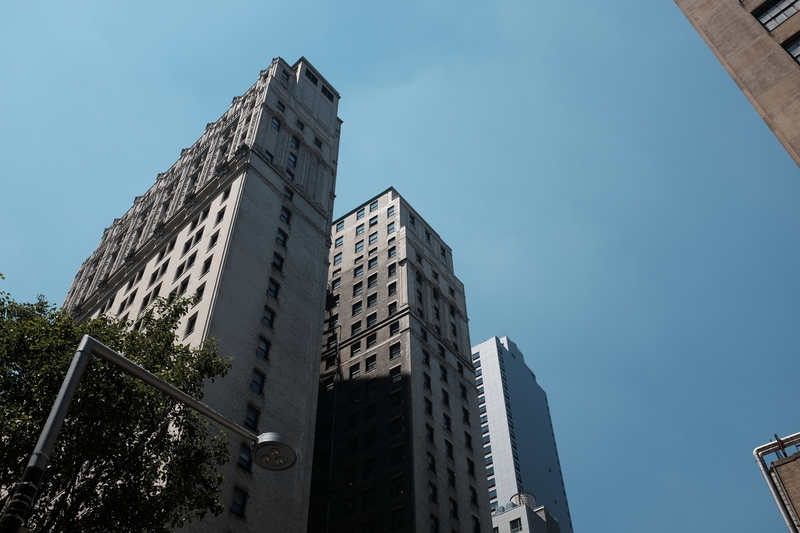 Water silos hiding in plain sight near Rockefeller Plaza. Must be hard getting water to run up all those floors. Then we walked several blocks to see The Met, that is the Metropolitan Museum of Art. Actually we saw both, the new one and the old one. While the Breuer had an interesting enough exhibition of Lygia Pape, the 5th Avenue one remains the highlight of the institution. A bit unfortunate at the end, that I was so exhausted that I worried about knocking over exhibits simply from falling asleep. That did not happen and we made our way back - taking a taxi - and I first fell asleep in my bed. 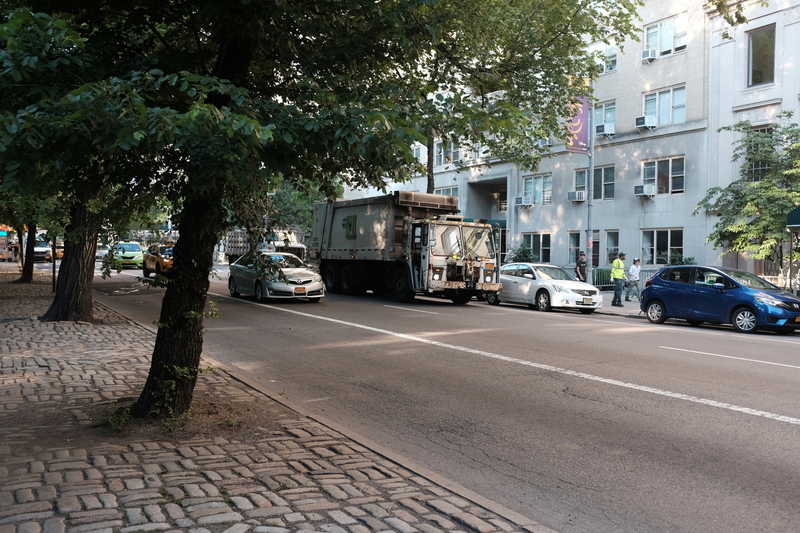 A dump truck moving quickly through the streets of New York. Oh, one more thing, before I leave. Where is my car you might ask? I checked with MarineTraffic, and it should be arriving today. Its location as of this morning. Although, according to its own schedule, it should have arrived one and half hour ago. Then it will go through customs tomorrow, and then - hopefully - I shall be able to pick it up come Tuesday. I have arrived in New York City. By the time I was finally out of JFK airport, the local time was 21:10. However, my time at origin was 3:10, and having awoken at 7:00 the previous day, I had been awake for 20 straight hours. Because of all that, I have not managed to take any pictures yet. So this entry will be picture free. So let's talk about the flight instead. I did manage to get some sleep on the plane. Unfortunately, I will never get super comfortable sleeping on moving vehicles. Be they cars, ships or planes. I did something I had not done before, I got Premium tickets for my flight. Which is probably why I managed to get some sleep on the plane. Comfortable seats, combined with Boeing's 787 Dreamliner rather comfortable atmosphere inside the cabin, helped me ease out of the disturbances that usually troubles me when I try to sleep a new place. Plus I had the opportunity to look forward to aeroplane food for once. It was quite satisfactory, and I certainly appreciated that there were several meals on this class. The upshot is, I am strongly considering upgrading my return ticket in September to the same Premium ticket. Premium is the highest class Norwegian offers. It was a good flight, until it really went downhill when we landed (pun intended! ), where we had to wait 30+ minutes for the gate to be cleared. Luggage claim is never fun, but it does not help when you are exhausted and have been waiting half an hour in a plane with nothing happening. Besides, this time, I am not travelling light; two checked in luggages after all. I brought basically as much as I could on board, because I expect to use most of it in my car, once I can pick it up. My biggest worry had been the conditions of my luggage when I arrived, considering the amount of delicate items I were bringing, including a tea pot, a typewriter and quite a few liquids. However, after having inspected my luggage, it appears everything arrived without a dent. Fortunately, I was picked up by friends at the airport, who drove me to my hotel, where I immediately checked in and went to sleep. It's now 6:30 in the morning, as I am writing this, because I have not fully adjusted to this timezone just yet.